Explanation: On April 22nd, the Lyrid Meteor Shower visited planet Earth's sky, an annual shower produced as the Earth plows through dust from the tail of comet Thatcher. Usually Lyrid meteor watchers see only a drizzle. Just a few meteors per hour stream away from the shower's radiant point near bright star Vega in the constellation Lyra. 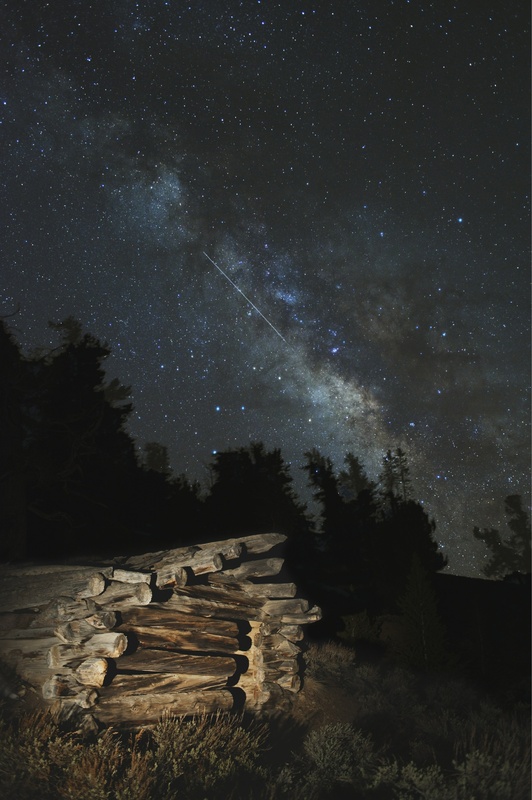 But photographer Tony Rowell still managed to catch one bright Lyrid meteor. Recorded in early morning hours, his well-composed image looks toward the south from White Mountains of eastern California, USA. 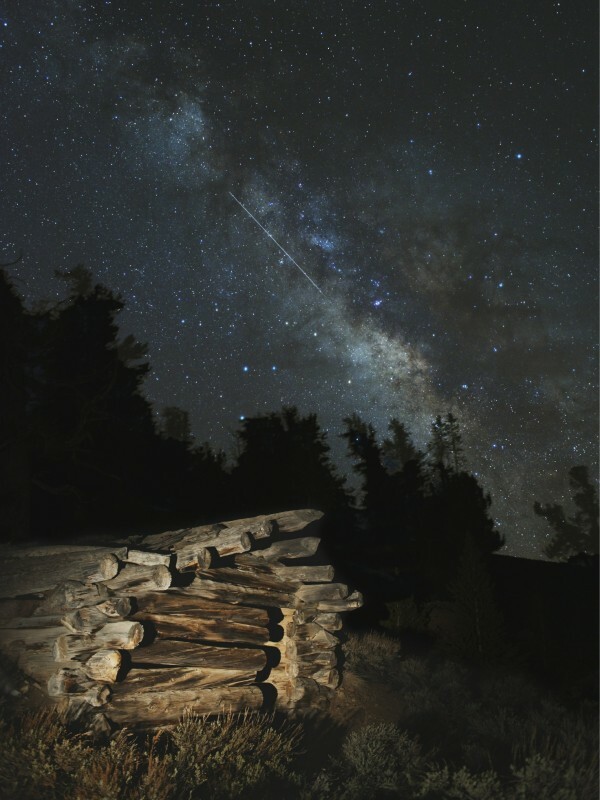 During the time exposure, he briefly illuminated an old mining cabin in the region's Ancient Bristlecone Pine Forest in the foreground. The rich starfields and dust clouds of our own Milky Way galaxy stretch across the background, along the meteor's glowing trail.